Mom’s Heart Breaks When She Watches This Surveillance Footage. This Is Horrible! Home » other » Mom’s Heart Breaks When She Watches This Surveillance Footage. This Is Horrible! You are about to witness one of the worst nightmares any mother out there can watch, that was brought to us by Fox 8. Ryane Lamb was the mother who had to watch the heartbreaking moment. She watched as a day care worker used a plastic scratcher to beat her son who had not provoked her in any way. While reporting to Fox 8, she said there was no reason for her child to be subjected to such kind of abuse. 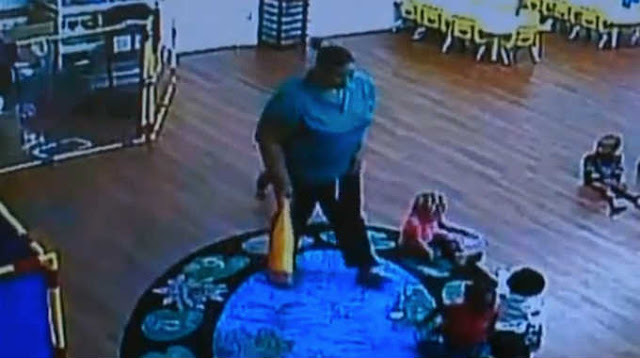 The incident took place within the Cedar Early Learning Center in Cleveland, Ohio, and it was recorded by a surveillance camera. Amari Lamb who is 2 years of age received over 20 strokes and then after a few minutes, she was again hit while being dragged to a changing table. It’s saddening since another employee is seen watching everything, but does not take any step to prevent the abuse. Later in the video, the employee is seen hitting another little girl. This clip was recorded on October 16 at around 5 p.m. The Independent Journal reported that the two employees were dismissed immediately. Octavia Manuel who is the administrator of the center confirmed that the two had been fired. She was glad that cameras had caught the incident and at the moment warrants have been filed against Tonya James and Melissa Tate as suspects of Child endangerment. This post was republished from worthytoknow.net. You can find the original post here.